In honor of Halloween, here are three tips to writing effective horror screenplays! 1. Make us care. This is one many bad horror movies fail to do. The more we care about the characters in jeopardy, the more we will fear something bad happening to them. The characters need to feel like real people. To achieve that, give each character specific details and personality traits. Avoid clichéd stereotypes. Make them complex, with strengths and flaws, hopes and fears. In Alien (story by Dan O’Bannon and Ronald Shusett, screenplay by Dan O’Bannon), we get to see the crew interact with each other before the horror starts. We learn about their interpersonal dynamics – how the two engine mechanics feel underappreciated by the officers, for example. The initial dinner scene shows the group talking about getting home, complaining about the food, and sharing in-jokes. As a result, they feel like real people once the alien starts picking them off. In The Others (written by Alejandro Amenabar) we meet Grace as she is showing new servants around. We see that she’s strict and cold – brushing off sympathy for her recently deceased husband. She is no-nonsense, not believing in the supernatural. And she has two children with a rare disease, a sensitivity to light. Though she is brusque, she clearly loves her children. These details make her unique and real. When strange things start happening, we identify with her desperation to protect her children. 2. Establish the Supernatural Early. You can divide horror films into two camps: those that contain supernatural elements and those that don’t. Psycho killer stories like Saw (story by James Wan and Leigh Whannell, written by Leigh Whannell) or Last House on the Left (written by Wes Craven) don’t have supernatural elements. If you’re writing something like that, you can skip this tip. Movies like The Sixth Sense (written by M. Night Shyamalan), Nightmare on Elm Street (written by Wes Craven), and The Others do. In these latter types of films, you should set up the supernatural elements early in the film. The audience is willing to suspend their disbelief when they watch a movie, but they demand internal consistency. So they look to understand the rules of the story world early on. Once they think then know what the world is, they usually won’t tolerate major variations. You don’t have to explain everything right off the bat, but you need to at least keep the possibilities open. In The Others, nothing clearly supernatural happens until well into the film, but ghosts are mentioned frequently from the opening scenes, usually so that Grace can tell someone they shouldn't believe in such nonsense. But odd things do happen and other characters, such as Nicholas, believe ghosts are around. Similarly, in The Sixth Sense, Cole doesn’t say he sees dead people until halfway through the film, but there is a scene early on where something weird happens in the kitchen – all the cupboards and drawers are mysteriously opened while Cole’s mother is out of the room. The audience learns that something strange is afoot in this world. We don’t know that it’s ghosts yet, but we remain open to the possibility. It’s usually a good idea to establish the rules that govern your supernatural elements clearly. If you’re doing a vampire story, we need to know if your vampires are afraid of crosses and can turn into bats or not. The rules may not be laid out right up front – some stories like Nightmare on Elm Street or Paranormal Activity (written by Oren Peli) are about the characters figuring out the rules. But if the writer is just introducing new rules as they’re needed for the story, it will feel like cheating to the audience. In Nightmare on Elm Street, the characters have to uncover Freddy Krueger’s history and figure out the rules of his powers. Only then can Nancy use those rules to attempt to defeat him in the end. 3. Build suspense. Suspense is the key to a good scare. Even a jump-scare – the kind of surprise that causes the audience to jump in their seat – works better if it is embedded within suspense. The key to building suspense is to establish the danger and then draw out the scene to build tension. You have to slow the pace to allow the suspense to build. You can then ratchet up the tension by introducing increasing obstacles to avoiding the impending danger. Often using a ticking clock – an approaching deadline – will help suspense stories and scenes. In Act III of Nightmare on Elm Street, Nancy has a deadline. She has to trap Freddy before her alarm goes off to bring him into the real world where he can be killed. This ticking clock creates suspense as she searches for him in the dream world. Then once she brings him back, things don’t go as planned, again increasing tension. She’s unable to get her father’s attention, and then later Freddy escapes her attempts to burn him. Saw is often remembered for its gore, but it was actually a movie built around suspense. In the main story line, two people are chained in a room. Each has a saw that isn’t strong enough to cut the chains, and there’s a body with a gun just out of reach. One man is told if he doesn’t kill the other by 6 pm, then his family will die. Tension ratchets up as the deadline approaches. Will one of them saw off their own extremity to escape the chains and get to the gun? Will they be able to find another way out? The emotional impact of the movie is built on the suspense, not the gory conclusion. So when writing a horror movie, create characters we care about, set up the rules of the world, and then amp up the suspense. Want to pitch like a pro? 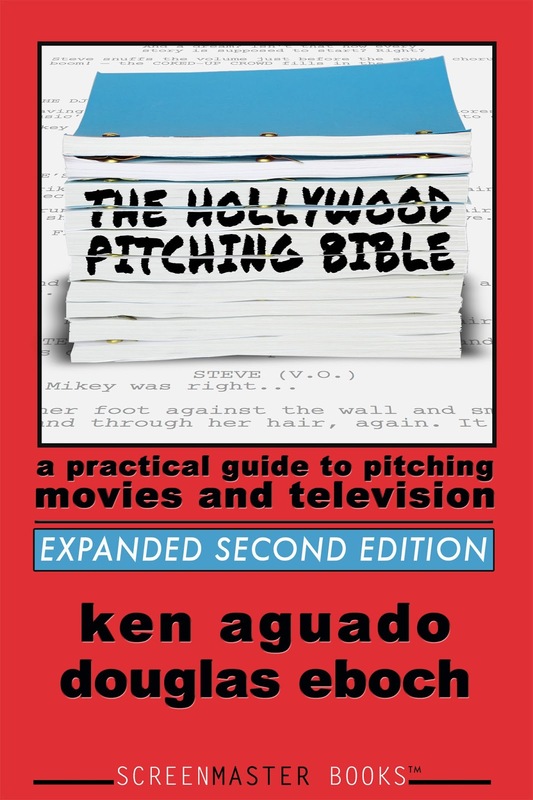 Get The Hollywood Pitching Bible. Earlier this week was “Back to the Future Day.” October 21st was Marty’s temporal destination in Back to the Future Part II (story and characters by Robert Zemeckis and Bob Gale, screenplay by Bob Gale). In honor of the day, I re-watched the first Back to the Future (written by Robert Zemeckis & Bob Gale). It has a fantastic screenplay, demonstrating many of the techniques I’ve talked about in this blog. Here are three in particular that stand out. A ticking clock is a screenwriting technique where we apply a time limit to a story goal. This allows us to increase the tension in the movie. Back to the Future uses the lightning strike on the clock tower to create a deadline: it’s the only source of power big enough to power the time machine, and it will hit at a precise time. If Marty and Doc Brown can’t harness the electricity of the lightning at just that moment, Marty will be stuck forever in 1955. This puts pressure on Doc Brown to construct the method of channeling the electricity into the DeLorean within that time frame, and pressure on Marty to get his parents together in the same time frame. Once that deadline is established, the filmmakers can up the tension by creating obstacles to the characters’ success. These obstacles range from big (Lorraine falling for Marty) to small (the DeLorean’s faulty starter, the tree branch falling on the wire). The photograph of Marty and his siblings is related to the ticking clock idea. It’s a “measuring device” to evaluate Marty’s success or failure in restoring his parents’ romance. As a clock, it doesn’t actually make a lot of sense – how long does it take changes in the past to affect the future? The question is kind of nonsensical. But the movie clearly establishes the rules of the photograph, and we buy it because we’ve bought into the whole time travel premise. So, when a rival cuts in on the big dance between George and Lorraine, tension rises because we see Marty slowly vanishing in the photograph (and on stage). I could probably fill several blog posts just listing the plants and payoffs in Back to the Future. Part of the fun of the movie is connecting things from 1955 to things in 1985. So we get some delight from finding out that Uncle Joey, who we know is in prison in 1985, enjoys his prison-like playpen as a baby in 1955. Or that the principal was already losing his hair thirty years before Marty’s run-ins with him. But there are other plants and payoffs that demonstrate the more important reasons for the technique. One use of planting is to set up story logic. For example, just before he’s going to use the DeLorean for the first time, Doc Brown mentions he almost forgot the spare plutonium and comments how he could have been stranded. Then the Libyans arrive and shoot Doc, and Marty’s forced to flee in the DeLorean without the spare plutonium. The payoff comes when he realizes he is stranded – just like Doc suggested. Because of the plant, we don’t question why there is no spare plutonium in the vehicle, and it sets up the whole ticking clock mentioned above. Also important to the ticking clock is the flyer Marty brings back with him. Marty and his girlfriend are handed the flyer by a woman raising money to save the clock tower. It has the important date and time of the lightning strike on it. This pays off when Marty shows the flyer to Doc and realizes they can use the lightning strike to power the time machine. Other examples of using plant and payoff for story logic include the story Lorraine tells in 1985 about how she and George met and fell in love. This provides the information Marty (and the audience) need to understand how Marty fractured his parents’ relationship and what he must do to restore it. Back to the Future also uses planting and payoff to cleverly reveal character and show character change. For example, in 1985, Lorraine insists she was a good girl who wouldn’t be caught dead chasing after a boy. So it comes as a revealing surprise when she pursues Marty very aggressively, and when she hints in the car at the dance that she’s messed around with a lot of boys before him. This also helps show the changes that have happened when Marty finally gets back to 1985. Biff is a prime example. In the opening, we see Biff in 1985 forcing George to do his reports for work. When Marty runs into Biff and George in 1955, Biff is forcing George to do his homework. When Marty returns again to 1985, Biff is now waxing George’s car. This new interplay dramatizes how the future has been changed. Scenes of preparation set up the big set pieces of a film. One common use of a scene of preparation is to lay out the characters’ plans so the audience can tell when they go wrong. For example, in Back to the Future, Marty has a scene with George where he explains his plan for how George will win Lorraine’s heart. Marty will get handsy with Lorraine in the car outside the dance, and George will sweep in and pretend to save her. Then when we get to the scene in the car, we understand why Marty is trying to put the moves on his mother and what it means that George isn’t the one to actually intervene. Without the scene of preparation, the writers would have to resort to awkward dialogue to get that information out. This scene of preparation serves another purpose: It shows us how nervous George is about the plan. Scenes of preparation allow characters to reveal their feelings in a way they likely couldn’t in the plot point scene. And understanding George’s fear of even faking a fight sets up the significance of when George actually stands up to Biff later. While I’m talking about the scene in the car, look at how nicely the writers escalate the obstacles. We know the plan: Marty pretends to force himself on Lorraine, then George pretends to save her. But things immediately go awry when Lorraine is more randy than Marty. How can George save her if she doesn’t want to be saved? The obstacles then escalate further when Biff intervenes before George arrives. Now the danger’s even greater – Marty’s been hauled away by Biff’s henchmen, the chances of George and Lorraine getting together seem remote, and Lorraine is in serious danger of sexual assault. There’s a reason Back to the Future has stood the test of time to the point where thirty years later people have created a “holiday” around it. A big part of that reason is the tight, expertly crafted screenplay. Approaching a rewrite can be daunting. Sometimes you have a ton of notes ranging from big structural changes to small line fixes, from character adjustments to plants and logic tweaks. You may have to move scenes around, write new scenes, or go through line-by-line to adjust a character’s dialogue. There is no real universal method of organizing your rewrite. I’ve developed some procedures over the years that work well for me. Maybe you’ll find some of my ideas helpful for your rewrites. 1. Back to Treatment. I will often write a one-page treatment of the story as it will unfold in the new draft. If I’m making structural changes, this will help me to see how the story plays in broad strokes. If I’m keeping the major beats mostly the same, it will help me identify what the core of the story is, so I know what to protect as I cut and trim. First Pass: Structural and plot changes, cutting and adding scenes, and cutting, combining, or adding characters. Second Pass: Major character changes (may be subdivided into multiple passes, handling a single character each time, if more than one character needs work). Third Pass: Scene fixes and dialogue revisions. 3. Create an outline for your rewrite. Just like I create an outline for my first draft, I often create a new outline for each major rewrite. I start by listing every scene in the current draft (often by editing my original outline to match the draft). I’ll add descriptions of any new scenes I have to write with big “NEW SCENE” labels before them. Then, I’ll list the changes under each scene that I plan to make to that scene. I can then use this as a checklist to make sure I’ve addressed all of the notes. 4. Track your structure. I will identify the major structural beats of the story in the outline – where’s the Catalyst? The Midpoint? The Act II Turning Point? That will help me make sure I’m executing each beat effectively when I reach that point in the rewrite. Sometimes I’ll also make a note under each scene as to the purpose of the scene in the plot. 5. Track the character beats. I will also identify the beats of the character arc(s), and of the changing relationships between characters, and note the scenes where these changes are dramatized. I will often color-code these in Word. For example, I might use red for a romance. The beats might be things like, “They meet,” “She reveals her big secret,” and “She feels betrayed and leaves.” Then I can make sure as I’m rewriting that I maintain the integrity of the emotional storylines. If I cut a scene that contains an important beat, I’ll know I have to replace it somewhere else. And I can see where I’m skipping or under-dramatizing emotional beats. -Make opening more exciting - actual danger, a serious protest. -Plant Kelsey's skills that will pay off in wedding scenes. -Make Mark British. Make him a BBC reporter. -Kelsey is more anti-marriage. Mark suggests Omar set Kelsey up. The rewrite outline then becomes a roadmap for the rewrite. You can go scene by scene, making the necessary changes, without having to worry about keeping the big picture in your head or worrying you’ll forget something. Want to learn to pitch like a pro? Get The Hollywood Pitching Bible. The Hollywood Reporter, in their summer movie debrief, ran an interesting article on how inaccurate tracking was this year. Tracking is the surveying studios do to determine what they think a movie will gross opening weekend. Many seem to believe the culprit in the failure of recent tracking is social media. Word of mouth travels faster now. Audiences sniff out the bombs by the end of opening day, making pre-release polling less reliable. Rotten Tomatoes was also cited as affecting consumer decisions, reversing the conventional wisdom of the last decade that reviews don’t matter. The obvious conclusion that the Hollywood Reporter (and the industry at large) seems unwilling to explicitly draw is that quality matters now more than it ever has. Make a movie that audiences and critics like – Trainwreck (85% fresh on Rotten Tomatoes), Straight Outta Compton (90 percent fresh), Mission: Impossible – Rogue Nation (93 percent fresh) – and you will over-perform tracking. Make one they don’t – Terminator: Genisys (26 percent fresh) or Vacation (27 percent fresh) – and you will under-perform. No amount of advertising can save you – Vacation had the biggest TV ad spend of any movie this summer. Of course quality is subjective. We’re not talking highbrow artistry here. In fact, “specialty films” did not perform particularly well this summer – for the first time since 2008, none broke $20 million, according to Hollywood Reporter. We’re talking about entertaining, crowd-pleasing movies that are intelligent enough that critics don’t pan them. Perhaps this is good news for screenwriters. Perhaps there will be a new emphasis on good writing over “pre-sold properties,” since awareness no longer means as much to box office success as a good experience. Hopefully, but I wouldn’t count on it – quality is a squishy concept. It’s much easier to point to how many issues a certain comic book sold, or how popular a TV show was in the eighties. Studio executives like to have facts and figures to back up their decisions. Women once again flexed their power, with three female-driven movies placing in the top dozen domestic grossers: Pitch Perfect 2, Spy, and Trainwreck. Despite the shameful statistics on female employment, the industry does seem to be responding to this trend (as evidenced by each of these movies getting made). It takes a few years to develop, produce, and release movies, so I would expect the female-driven movie trend to continue to grow. Sequels and movies based on underlying properties were a mixed bag. Four of the top five domestic grossers were sequels: Jurassic World, Avengers: Age of Ultron, Minions, and Mission Impossible – Rogue Nation. On the other hand, three of the five biggest flops, according to the Hollywood Reporter, were based on “proven IP”: Tomorrowland, Fantastic Four, and The Man From Uncle – losing a combined $290 million dollars. (You could also argue Pixels, which lost about $75 million was based on underlying material – a viral video). Furthermore, sequels Terminator: Genisys, Ted 2, and Magic Mike XXL were all disappointments, though Terminator made up a lot of ground internationally. In fact, Terminator: Genisys provides an interesting case study. It was poorly received and bombed in the U.S., but did great business overseas. Perhaps quality is not quite as important overseas as it is in the U.S. Not all countries are as wired into social media as we are. The downside for studios is that they take home a significantly smaller portion of the box office from overseas. Despite its strong international grosses, the planned sequels to Terminator are currently in doubt. From a genre standpoint, the top 20 is really pretty diverse, considering we’re talking about blockbusters. There are plenty of science fiction and super hero movies, of course. You have a couple animated family films, as well as the live-action family adventure Tomorrowland. There are a couple of horror films sneaking in at the bottom of the list. There are, by my count, eight comedies (including the animated films). And there is a music biopic (Straight Outta Compton), a disaster film (San Andreas) and Magic Mike XXL, which I’m not sure how to classify. The feature screenwriting biz has been tough lately with the emphasis on major franchises. But this summer suggests there may be hope to get original stories through the system. I happened to watch the fantastic 80’s high school movie The Breakfast Club (written by John Hughes) this week, and I was struck by how effectively the film illustrates character through dramatization. 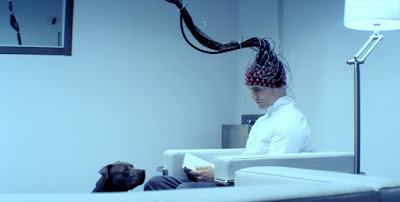 Of course, this is a very dialogue driven film where a lot of the characters’ thoughts, beliefs, and back-stories are delivered in conversation. But that conversation always grows out of conflict. There are also several great moments where character is revealed with effective dramatic shorthand. I want to examine two of those types of scenes. First to arrive is Claire, being driven to school in her father’s luxury car. She expresses disbelief that he can’t get her out of detention. And he apologizes and offers to make it up to her! Immediately we see that Claire comes from a wealthy family where she is spoiled. Next to arrive is Brian, in a station wagon. His mother berates him for getting detention and insist he find a way to use the time to study, even though that’s against the rules. Also, Brian’s little sister is in the car. We see that Brian comes from a “normal” middle class family with a lot of pressure to do well in school. Next, Andrew is dropped off by his father (in an SUV). Andrew’s father chews him out – not for the prank that got him in trouble, but for potentially jeopardizing his chance at a sports scholarship. We know right off the bat that Andrew is a jock and that he’s facing pressure to be good at sports (and traditionally masculine) by his father. Alison arrives next. She gets out from the back seat of a car, and when she moves to talk to whoever’s in front (presumably a parent), the car drives away. There is a communication problem in her home. Bender arrives last, walking up to the school alone. These introductions tell us two things about each character: First, we see the “stereotype” that the character occupies. Second, we learn something about their relationship with their parents (Bender being the only one not brought by his parents tells us volumes – without a line of dialogue). Stereotypes and parental relationships are two of the biggest themes in the movie. It's no accident that those are the things Hughes focuses on when introducing his characters. Claire brings sushi. This is an exotic and sophisticated lunch for suburban Chicago in the 80’s (some of the characters don’t even know what sushi is – and likely much of the audience at the time wouldn't know either). In addition to reinforcing Claire’s wealth, it shows that she's cultured and sophisticated. That adds a nice dimension to the "rich girl" stereotype. Andrew has a huge lunch. It becomes a joke as he takes sandwich after sandwich out of his bag. This is, of course, because he’s an athlete and therefore burns a lot of calories. It emphasizes how much of his life centers on his athletic endeavors. Alison tears her lunch apart and remakes it into a strange sandwich of corn chips and pixie sticks, reinforcing that she is someone who marches to the beat of her own drum. It also suggests her creativity. Brian has soup, juice, and a peanut butter and jelly sandwich with the crusts cut off. This is the stereotypical suburban lunch – a fact Bender makes fun of. And it tells us that Brian’s household is normal and his parents take care of him. Which makes his later revelation of why he’s in detention – for bringing a gun to school – all the more powerful. Bender doesn't have a lunch at all, once again emphasizing that he does not have a good home life. On the surface, giving the characters distinct lunches may not seem particularly revolutionary. But I’ve read many scripts that miss this kind of opportunity to show character. Many writers would simply give each character a brown bag with a sandwich and an apple in it - they're high school students and that's what high school students eat, right? John Hughes carefully figured out not just what kind of lunch each character would eat, but what kind of lunch would give the audience important information about their lives. The characters do comment on some of this (Bender making fun of Brian’s normal lunch for example), but the revelations are mostly dramatized rather than expositional. When working on your scripts, look for places like these where you can dramatize your characters' lives and personalities. Then you won’t need to resort to clunky, expository dialogue.